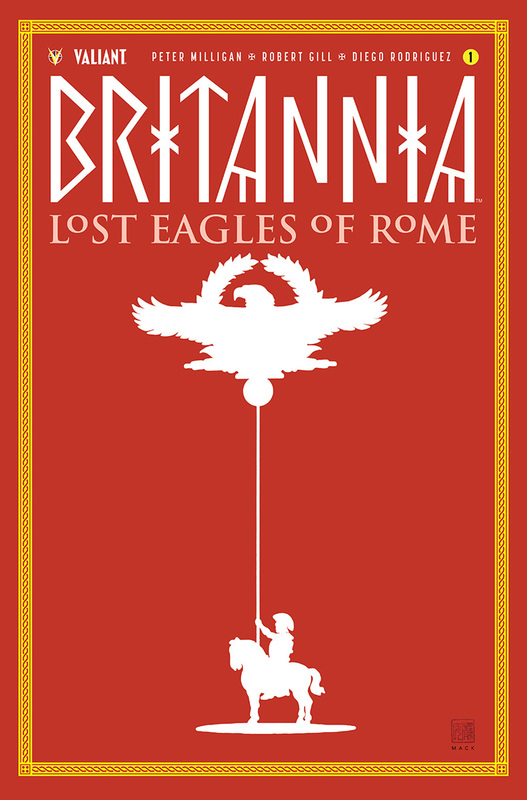 Peter Milligan takes us back to Ancient Rome in the third Britannia series: The Lost Eagles of Rome. In similar fashion to the previous installments, Milligan crafts a story based on historical significance, ancient Roman lore, and a fair amount of comic book fantasy ensuring we are escaping to another time and another place without being bogged down by historical facts. In true Milligan form, a combination of strong characterization, Crime Noir storytelling and pacing, and the esoteric brings us yet another spellbinding story of the world’s first detective: Antonius Axia. Unlike the first two volumes, Juan Jose Ryp was unable to present the stunning and detailed visuals that transported us in the first two adventures (Britannia, 2016; Britannia: We Who Are About to Die, 2017). 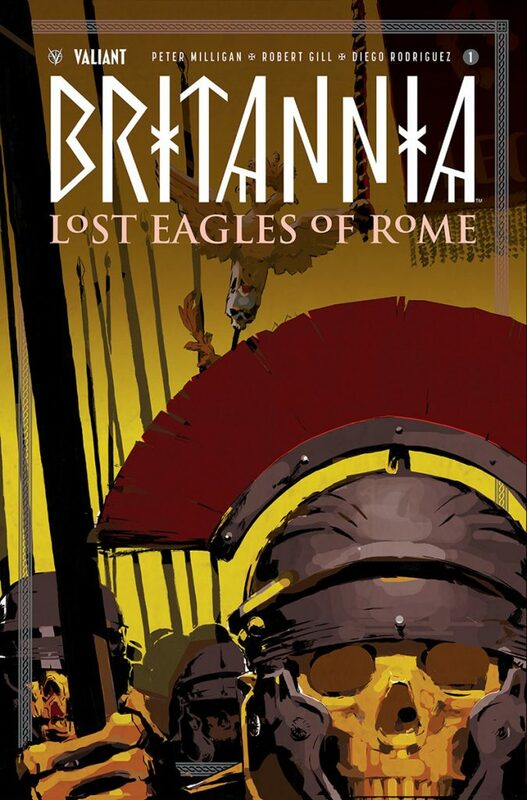 While this is unfortunate, the art remains top notch under the talented Robert Gill, whose clean style, while a contrast to Ryp’s Darrowesque detail, captures the era and the feel which is essential to stories like Britannia. We need to feel we are there, and Gill expertly drafts the visuals which transport the reader back 2000 years. Within the first three pages, I am hooked on the detailed artwork, which solidified my appreciation for yet another Valiant mainstay: Robert Gill. I was instantly transported, finding myself admiring the complexity of the composition which is a feast for the eyes. Through skilled pen and tone, we are pulled into well-crafted and delicately detailed pages filled with dozens of Roman Legionnaires in combat with Germanic Barbarians. Though filled with more figures in a few panels than many artists are willing to put into an entire book, we do not feel crowded. The composition pulls the eyes to the spots Gill wants us to focus on while filling the page with amazing detail. While we have yet to be thrown into the supernatural side, readers of the first two volumes know that it is expected. As is some form of further confrontation between Nero and Antonious. One of the things I loved about the first Britannia series was the inclusion of the historical significance of concepts presented in the series. It appears these have been omitted in favor of behind the scenes “development of a page” from script to the final version. While these are fantastic, I miss the historical inclusion. Additionally, there are a couple of scene transitions that don’t quite work in comics but work tremendously on film. Everyone knows that Valiant is my favorite company. They believe in Quality over Quantity, and this is another example of that quality. They have top-notch creators producing some of the finest comics out there. I would love to give this issue a 10 out of 10, but the rough transitions and lack of the historical piece following the main story prevent me from giving it a 10. Rating: 9.8 out of 10.